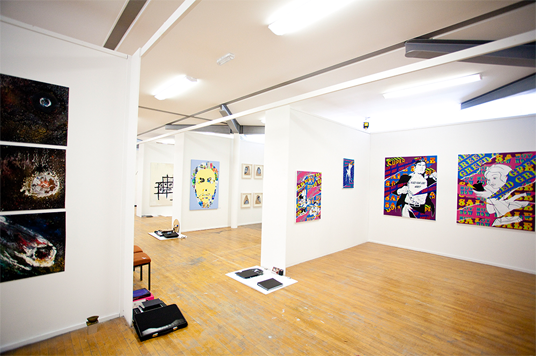 This is a busy time of year as final year art, design and architecture students mount their work and art and architecture schools open their doors for their annual degree shows. Here's a list of dates and locations of final year shows both in Ireland and Scotland for those of you keen to see work from the newest entrants to the creative industries. It's as exhaustive a list as I can come up with, but if your show isn't here, drop me a line and I'll add it. Unfortunately I've put this list together too late for a couple of shows (apologies to those of you looking to see shows in Ballyfermot, Athlone and Duncan of Jordanstone in Dundee...) but most of the schools in Ireland and Scotland are covered. Thanks to James Benedict Brown for providing some of the architecture dates (you'll find his pretty comprehensive list of architecture shows in the UK and Ireland here), while Creative Review's rundown of art and design shows in the UK may also help you plan your degree show trips. Enjoy! P.S. Have you subscribed to the I Like Local mailing list yet? Sign up to receive a monthly digest of top posts from the blog!